"A cultural experience you won't forget, carrying you deep into the rich traditions of Ghana, West Africa"
Come join this group of performers in exploring the rich culture of West Africa! 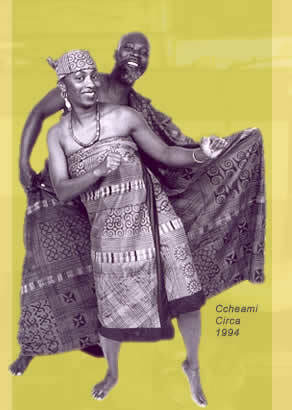 Through song, dance, drumming and story telling, members of Ocheami bring Africa to you. Please visit our Events page to see where we've been lately and what programs and events are coming up. 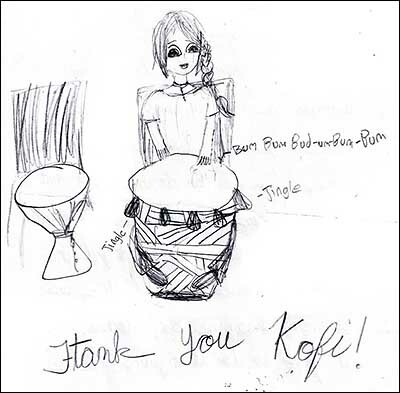 A thank you note from a workshop participant. 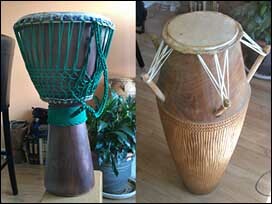 Ocheami Now Offers Drum Repair! Replace damaged skins or tighten and tune to make your drum sound like new agian. Contact us today. Click on the photos below to view full size.